Read more for less! 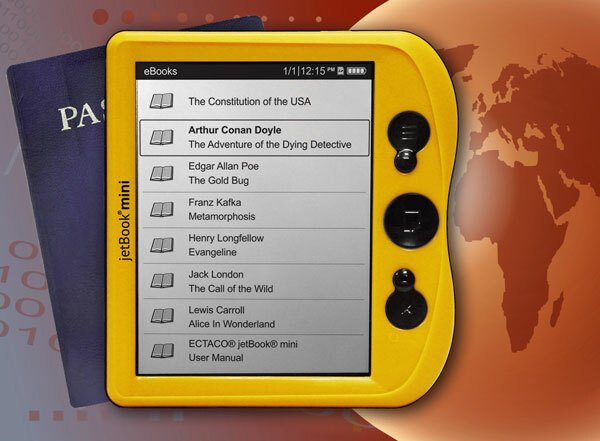 The jetBook mini is the most affordable, lightest, and versatile e book reader ever made. Tweaking energy consumption to its absolute minimum, the jetBook mini now runs on 4 AAA batteries (Energizer batteries included) and lasts up to 90 hours of continuous reading and 2 years in standby mode! It boasts the signature 5" TFT screen but now weighs only 5.8 ounces - making it the lightest eReader to date. New features have now been added including all-way reading angles for righties and lefties, multi-language interface options, line spacing, built-in clock, adjustable font sizes and line breaks. 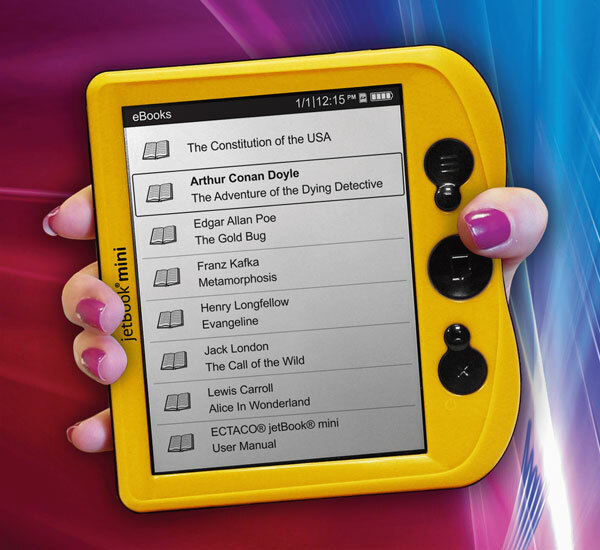 As the most affordable e book reader in the world it makes as a perfect gift for you and your loved ones! Click here to download a step by step conversion guide.